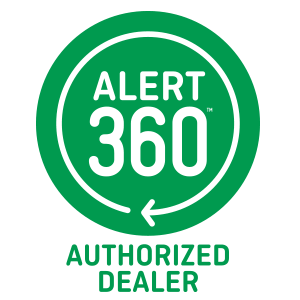 Alert 360 Authorized Dealer Program adding services and increasing sales, training, and marketing tools. The Alert 360 Authorized Dealer Program, one of the leading monitored security and alarm dealer programs in the country has announced plans for aggressive growth based on new leadership, increased dealer support, and a strong foundation of more than 45 years of industry experience. After adding industry veteran, Travis Miller, as VP of Dealer Development late last year, the company signaled its intent to expand its national dealer program. Miller joined the dealer program with the key objective to grow the dealer channel but also to make it more efficient, effective, and productive for dealers of Alert 360. Bringing a strong background in dealer ownership, sales enablement, and technology, including the development of a proprietary CRM program, Miller has led several initiatives that will make a positive impact on Alert 360 dealer partners’ success. •	New Alert 360 Dealer Store, where authorized dealers can buy Alert 360 merchandise and advance brand awareness. from Alert 360 staff and vendor partners. “At Alert 360, we deliver excellence in service and installation based on a half-century of experience in the alarm monitoring and security system industry and are proud of the flexibility, innovation, and reliability we provide home security dealers across the country,” said Richard Ginsburg, president, and CEO, Alert 360. Since Jan 2018, the company has acquired 11 alarm businesses. During that time, Alert 360 gained nearly 22,000 accounts in alarm account acquisitions. Alarm account acquisitions and funding occurred in: Alabama, Arkansas, Arizona, California, Florida, Georgia, Indiana, Kansas, Kentucky, Louisiana, Maryland, Mississippi, Missouri, Nebraska, North Carolina, Ohio, Oklahoma, Pennsylvania, South Carolina, Tennessee, Texas, and West Virginia. Click the following link to learn more about our alarm account acquisition program. Across the country, there are more than 200 Authorized Alert 360 Dealers. To learn how Alert 360 can help you increase sales of security systems and smart home automation services and connect with the Alert 360 Dealer Program team. Alert 360 Austin, Texas: We recently introduced our new Alert 360 access control solution for small to medium-sized businesses in Austin and our entire service area. The solution integrates with our existing user interface that controls security, video, lights, thermostats and more. Our customers will now be able to control/view all of these from a single app. Our sales and operations team will be demonstrating this and the rest of our products and services at the Palmer Event Center for the Show Technology March 22-24. Alert 360 Dallas, Texas: North Texas is the 8th fastest growing metro area in the country with corporations like Toyota, State Farm and Liberty Mutual relocating headquarters here and bringing thousands of employees with them. This population and industry explosion has greatly increased the demand for our security and automation packages. To keep up with that demand we have added experienced sales leadership and security consultants to our Dallas office. We were at the Texas Home and Garden Show this past weekend and the interest in our security and automation solutions was terrific! Thank you to all of those that stopped by to see us. Our Dallas office is also Access Control System certified so we can provide custom security solutions to homeowners or businesses of almost any size. Alert 360 Fort Worth, Texas: We recently expanded our ability to provide additional services to commercial customers by becoming certified to offer our new Alert 360 Smart Access Control solution. Users can now remotely manage all controlled access points in their business through our Alert 360 app which also manages security, video, and energy management. The technology allows customers to lock and unlock doors from a mobile device, receive alerts and video notifications when doors are opened outside of a schedule, forced or propped open. Alert 360 Houston, Texas (north office): Alert 360 is part of our community and serve approximately 25,000 residential and commercial customers in the greater Houston North area. Educating our neighbors on how to protect what matters most to them is our #1 priority and we were just were in the Katy, Sugarland, Cypress, and Montgomery County Home shows to do just that. All of our employees are bonded, insured, fingerprinted, drug tested, and licensed by the state of Texas plus they live here so you can always trust them to be in your home or business. With over 100+ years of employee security experience, we are experts in the design and install of smart security and automation systems for homes and businesses. Alert 360 Stafford, Texas (Houston south office): Alert 360 has two offices in Houston to ensure on-time and quality service; no matter what the traffic situation is like! We are one of the largest providers of residential and commercial security providers in the greater Houston South area. All of our local employees are bonded, fingerprinted, insured, drug tested, and licensed by the state of Texas. Our team of security consultants are experts in designing custom systems from the very basic but effective to the most complex and custom solutions. Whether you need security, access control or a video surveillance systems we have over 100+ years of employee security experience that you can trust. Alert 360 Kansas City, Kansas: We recently added additional install and service technicians to maintain our record of on-time service excellence as the demand for our new Alert 360 access control solution increases. We are also interested in adding one more highly experienced security professional to our team. All of our employees live in the communities we serve and we will be at the Johnson County Home & Garden Show on 3/8 – 3/10/2019 to meet with potential new and existing customers. We’ll have demonstrations of how all of our security, video, energy management, and remote lock/unlocking devices can be controlled our Alert 360 mobile app. Alert 360 Oklahoma City, Oklahoma: The branch was started by Rick Hunter who opened the office in OKC and ran it for over 15 years until he retired late last year. We were the first office at Alert 360 to be fully certified to offer our New Alert 360 access control solution and the response from customers has been amazing. We will be at the Oklahoma City Home & Outdoor Living show March 22-24th and also the OKC Women’s Expo with a Cause May 4-5th to showcase all of our industry-leading security solutions for homes and businesses. Alert 360 Phoenix, Arizona: Home show season is upon here in Arizona. The weather is typically a perfect 75 on average. Our Phoenix Alert 360 team will be at the following events: the Spring Home & Landscape show in Glendale March 1-3, The Ostrich Festival in Chandler March 8-10. The Pinal County fair March 20-24th. The Great American BBQ and Beer Festival on March 30th. In April we have the Phoenix Pride Festival on April 6th & 7th, and Maricopa County Fair April 10th – 14th at the AZ State Fairgrounds in Phoenix. We would love to meet you at one, or all, of these great events to share how we can protect your home or business while providing convenience and peace-of-mind! Alert 360 Sacramento, California: The Sacramento Branch of Alert 360 has always been one of the largest providers of residential security in the area but have quickly become a leader in commercial security in Northern California and the Bay Area! We have also been busy at several shows – most recently we attended the Cal Expo where we met a lot of great people and generated a ton of interest in meeting with our local security professionals. The demand created for our Alert 360 video surveillance and recording systems was tremendous and we are excited about all of the on-site demos we have set up to showcase the features of this custom video solution. Alert 360 San Antonio, Texas: Our branch office is one of the largest home security providers in the San Antonio area. We were at the Alamo Dome in late February and was one of the most attended booths. As always, our high-resolution Alert 360 24/7 video security cameras and recording equipment was a big hit! Our office has well over 100 years of home security and business alarms. We have been busy installing access control systems and looking forward to another great year! Alert 360 San Diego, California: Alert 360 has been in San Diego for over a decade and our new office is now fully staffed with additional installers, service techs, and security consultants. We continue our service to our loyal existing customers and to help more home and business owners protect what matters most. We had a great weekend at Del Mar Home & Garden Show with a lot of interest in Alert 360’s packages that include keyless entry and video doorbell cameras. Our corporate office recently sent out an evaluation flier to our customers and we are getting an excellent response and really getting to know our customers. Looking for an outstanding 2019! Alert 360 Sarasota, Florida: The Sarasota Branch has been really be busy. We install home security and business alarm systems in Sarasota, Braden Tampa Pinellas County, and even Fort Myers. We were at the Sarasota Home Show in January and have several shows coming up. Our office does the full range of home security from basic installation to more involved video surveillance cameras and access control. We look forward to speaking with you about your security and alarm needs! Alert 360 Springfield, Missouri: The branch office of Alert 360 in Springfield is highly skilled at providing our customers with the best custom security solutions that include home automation at a very affordable rate. This allows our customers to take advantage of the most sophisticated technology available to meet their needs and fit their budget Alert 360 is always looking for ways to expand our services to deliver value to our customers and our new Access Control solution for small to medium size businesses does just that. All of our systems are remotely controlled with our Alert 360 mobile app. Our staff is made up of tenured employees who are dedicated to our customers 24/7 and we are confident that our local service and extended warranty program are tops in the industry. Alert 360 Tulsa, Oklahoma: We had a very good turnout for the “Tulsa Lawn and Landscape Show” held Downtown at the Cox Business Center this past February 15 – 17. Everyone is very excited about our largest Home Show, “The Greater Tulsa Home & Garden Show” coming up March 7 – 10 at the River Spirit Expo at Expo Square. We are expecting a huge turnout of people. We will have our House Display setup right in the middle of a 20’ x 20’ island with our ‘hands-on’ experience center for potential customers and existing customers alike to come by and see and touch firsthand all of our products and services we have to offer! Also, as always there will not be a shortage of Alert 360 Balloons sprouting from our Balloon Tree for all the kids, or even the grownup kind, being carried and displayed all over the 446,400 square foot column-free space under a cable-suspended roof, The Expo Square! We too, are an Alarm.com access control certified office. Alert 360 Wichita, Kansas: We met a lot of great people and businesses at the WABA Home Show in the middle of February, and the Lawn and Garden Show this past weekend! We also have a fun booth set-up at the Kansas State Fair in Hutchinson this year! We have a great sales and tech team with over 100 years of experience in the security industry. We also have been certified to sell and install our new Alert 360 Card Access Control System. We install alarm/security systems that can all be customized to fit any size home or business. Founded in 1973 in Tulsa, Okla., and evolving from Guardian Security Systems and Central Security Group, Alert 360 is one of the nation’s oldest-licensed alarm monitoring providers. Today, the company is the fifth largest provider of monitored security and smart home solutions to homes in the United States. Alert 360 operates a monitoring and customer service center in Tulsa, Oklahoma. The company has offices in 17 cities. The company has achieved Five Diamond alarm monitoring designation and also has been named a 2016 Inc. 5000 “Fastest-Growing Privately Held Company in America” and a “Best Places to Work in Oklahoma” in 2016, 2017 and 2018. Alert 360 professionally consults, installs and monitors Home security systems and Business alarm security systems.